Goods and Service tax or GST will be one tax to subsume all taxes. It will bring in the “One nation one tax” regime. To maintain a check and examine whether correct GST is being paid and the refund is claimed, certain taxable persons will be subject to audit under GST. Audit under GST is the process of examination of records, returns and other documents maintained by a taxable person. The purpose is to verify the correctness of turnover declared, taxes paid, refund claimed and input tax credit availed, and to assess the compliance with the provisions of GST. and other particulars as prescribed. If any taxable person, after furnishing a return discovers any omission/incorrect details (from results of audit), he can rectify subject to payment of interest. However, no rectification will be allowed after the due date for filing of return for the month of September or second quarter, (as the case may be), following the end of the financial year, or the actual date of filing o the relevant annual return, whichever is earlier. -earlier, ie., his last date for rectifying is 31st August 2018. This rectification will not be allowed where results are from scrutiny/audit by the tax authorities. 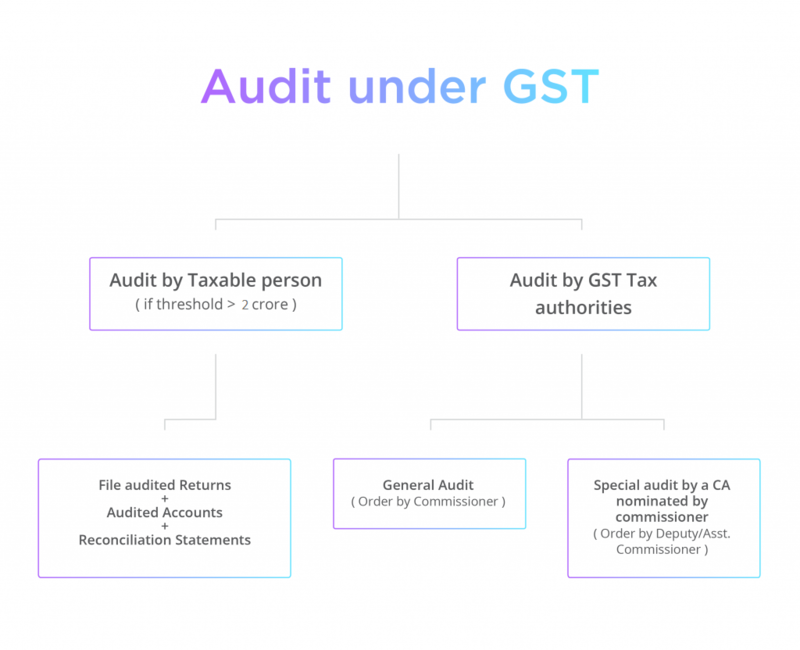 The Commissioner of CGST/SGST (or any officer authorized by him) may conduct an audit of a taxpayer. The frequency and manner of an audit will be prescribed later. A notice will be sent to the auditee at least 15 days before. The audit will be completed within 3 months from the date of commencement of the audit. The Commissioner can extend the audit period for a further six months with reasons recorded in writing. to give information and assistance for timely completion of the audit. If the audit results in detection of unpaid/short paid tax or wrong refund or wrong input tax credit availed, then demand and recovery actions will be initiated. When can a special audit be initiated? The Assistant Commissioner may initiate the special audit, considering the nature and complexity of the case and interest of revenue. If he is of the opinion during any stage of scrutiny/ inquiry/investigation that the value has not been correctly declared or the wrong credit has been availed then special audit can be initiated. 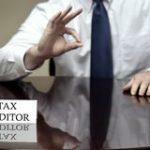 A special audit can be conducted even if the taxpayer’s books have already been audited before. Who will order and conduct a special audit? The Assistant Commissioner (with the prior approval of the Commissioner) can order for special audit (in writing). The special audit will be carried out by a chartered accountant or a cost accountant nominated by the Commissioner. The auditor will have to submit the report within 90 days. This may be further extended by the tax officer for 90 days on an application made by the taxable person or the auditor. The expenses for examination and audit including the auditor’s remuneration will be determined and paid by the Commissioner. The taxable person will be given an opportunity of being heard in findings of the special audit. If the audit results in detection of unpaid/short paid tax or wrong refund or input tax credit wrongly availed then demand and recovery actions will be initiated. Thus, GST is a completely new tax regime already taking India by storm. Businesses will face challenges in transition and application of GST. 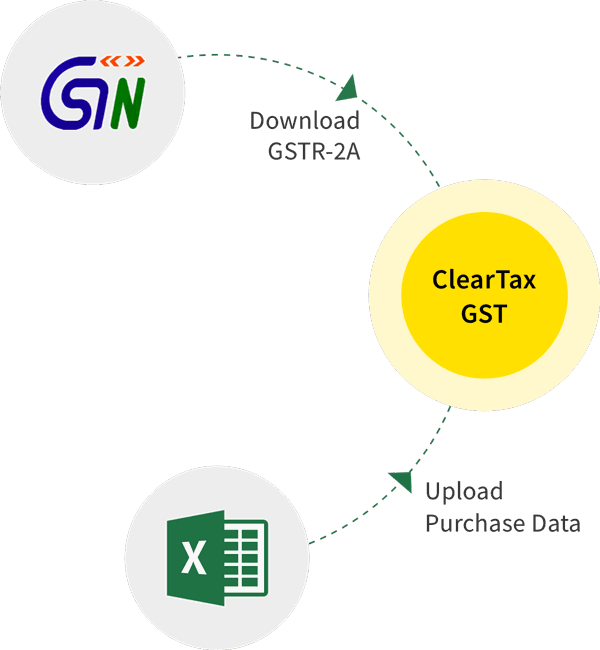 To know more about GST, feel free to read more of our articles on our blog.